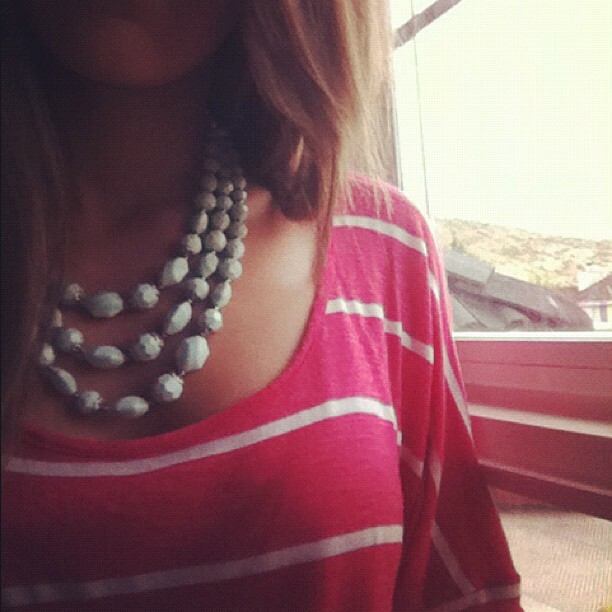 Neon and Stripes and Baubles; Oh My! This pair of colored skinnies is my absolute favorite. Saying these pants are neon is an understatement…they are NEON: bright, fluorescent and amazing. I paired them with cobalt blue stripes and my favorite pair of DV by Dolce Vita wedges. I have been feeling bright stripes all week! Love the pants they look great on you. Excellent mix ! love Your pants sooooo much <3 ! Beautiful outfit! Really cool! And those pants are really amazing! love this. neon with stripes looks super chic! 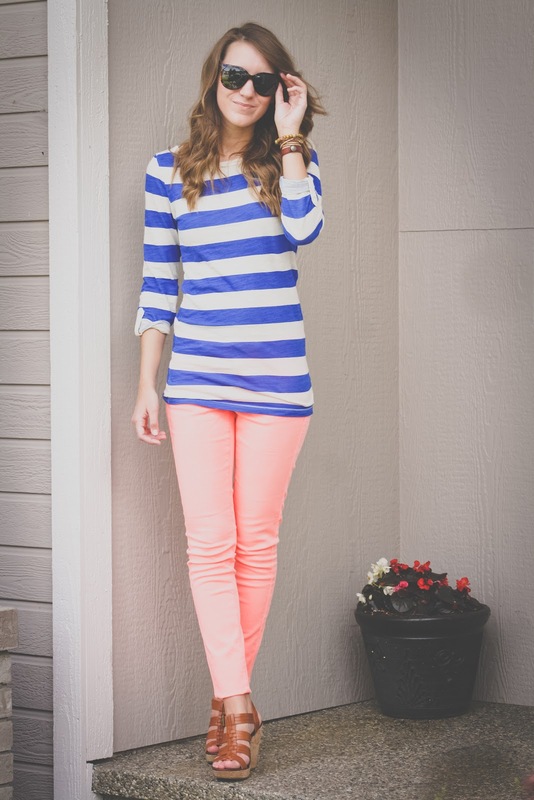 Gorgeous outfit, Love the combination of the neon and stripes! Loving the stripes. Great casual outfit. love your blog and your style!!! thanks so much for visit mine!! i follow you of course! hope you follow me back!!! Love your style. You shoes and jeans are gorgeous. Hope you'll follow back? super pants, i love the colour! Hola!, Acabo de ver tu Blog y me ha encantado, ¡Te sigo! I love your pants! I'm follow you now, i hope you do the same! Thank you for the comment on my blog as well 🙂 Follow one another? l just find your blog and l like it!! Your pants is perfect.l like the colours. Your outfit is so cute!! Love it! I'm follow you now and l hope you do the same!! oh i love your sunglasses!! I love how you matched colours, great look!